The Jeep Wrangler is a capable, durable, and powerful SUV that has garnered the admiration and loyalty of a large fanbase. At Collierville Chrysler Dodge Jeep Ram, we know a lot about custom Jeeps and limited edition Jeeps. Along with our incredibly diverse inventory, we strive to take care of our customers. We do this in many different ways, just one of which is our offering of new Wrangler JL rebates. Taking into account that this rebate is paired with a 90 day no payment policy, you won’t find another like it anywhere around Collierville. Offering an excellent rebate on the Wrangler JL like this is quite rare, but we always want our customers to get the best! So visit our Jeep dealership near Southhaven, MS today to learn more! 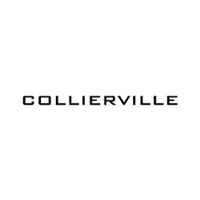 At Collierville Chrysler Dodge Jeep Ram, you’ll find the best selection of Jeeps around Collierville and beyond. To learn more about this impressive Jeep model, and to discover all the finer workings of the 2018 Wrangler JL rebate offer, simply contact us today or leave a question for our finance department!